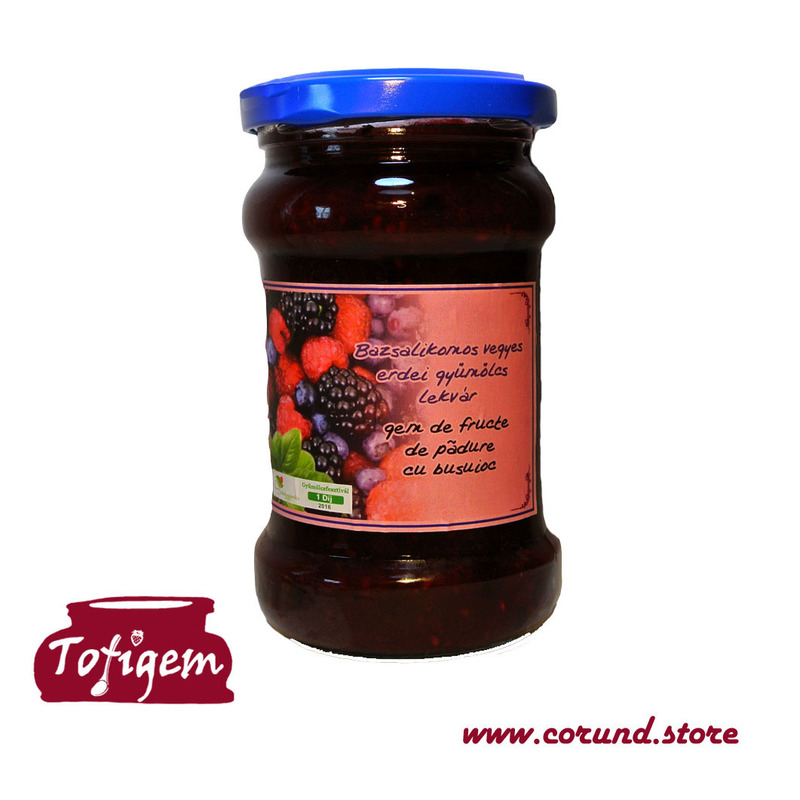 The forest fruits are collected in wild forest of volcanic plateau around Corund, and are transformed in a tasty, healthy passionate jam based on a classic, traditional recipe. Basil have been added to this recipe. 314 ml jar, pasteurized only, no added preservatives or gelling material. Produced by our proud partner, Tofalvi Zita & Lajos in Fantana Brazilor, Corund.